Santa Fe Writer's Project, 9781939650382, 238pp. Legacies of violence and tragedy haunt these thirteen stunning stories from Tara Laskowski, author of Modern Manners for Your Inner Demons. A woman who becomes obsessed with her co-worker's murderer; an investigative reporter with a nose for scandal finds his own life suddenly unraveling; eerie sights in a video baby monitor haunt a new mother. When the unexpected happens, these bystanders—who are not always innocent—come face to face with their own choices and fates. Bound together by danger, fear, paranoia, and the bumps we all hear in the night, these potent stories illuminate the darker side of the human condition. 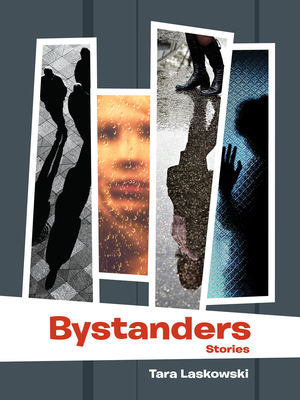 From a vicious newspaper strike that rocks a small Pennsylvania community to an unpredictable road trip in the vast desert of the American West, Bystanders explores the ways in which terror and uncertainty both consumes and invigorate us—and yet reveal our strengths, hopes, and passions. Selected as the Grand Prize Winner for the SFWP Literary Awards Program, 2010, by Pulitzer Prize-winner Robert Olen Butler. Tara Laskowski is the author of Modern Manners for Your Inner Demons. She was awarded the Kathy Fish Fellowship from SmokeLong Quarterly in 2009, and won the grand prize for the 2010 Santa Fe Writers Project Literary Awards Series. Her fiction has been published in the Norton anthology Flash Fiction International, Alfred Hitchcock's Mystery Magazine, Mid-American Review, and numerous other journals, magazines, and anthologies. She has been the editor of SmokeLong Quarterly since 2010 and lives in Virginia with her husband, toddler, and two whiny cats.